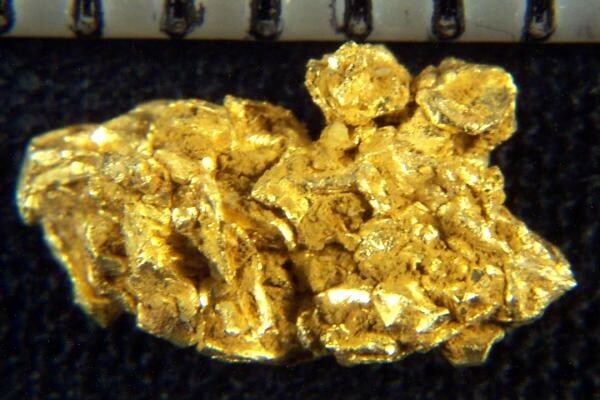 This gorgeous Gold Specimen from the Round Mountain Mine has multiple octahedron gold crystals. 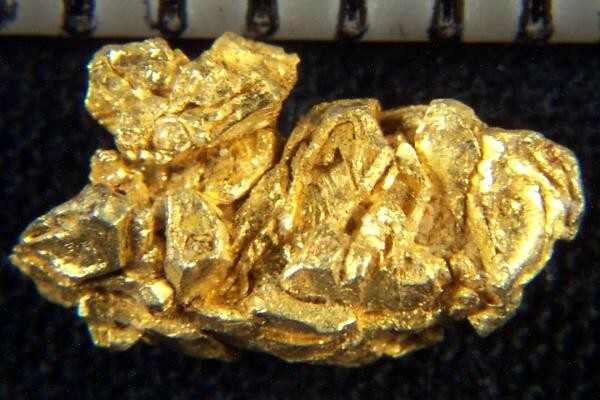 The gold crystals are well defined on this rare and unique gold specimen. This beautiful gold specimen is 3/8" long (10 mm), weighs in at 10.8 Grains (0.70 Gram), and comes displayed in a round plastic gem jar.